I just fell in love with this hand carved door. An older woman holding on to two bars. The carving is just amazing. Here’s a door from the lovely town of El Tuito, Jalisco, Mexico. 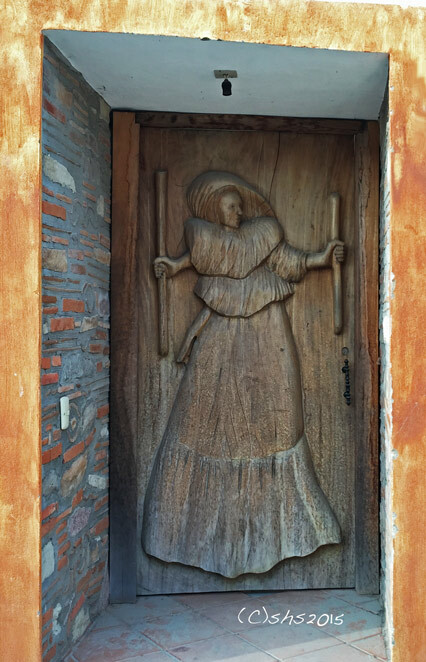 Gallery | This entry was posted in Doors and tagged Architectural Photography, Doors, El Tuito, El Tuito Mexico, Interesting Doors of the world, Mexican Doors. Bookmark the permalink. That is a stunning door!